These ~NEW~ Bistro Style Coffee Cups are a stylish, practical, and thoughtful 12 step recovery gift for yourself or anyone in the Alcoholics Anonymous fellowship! Nearly any design, phrase, logo, event theme, etc. 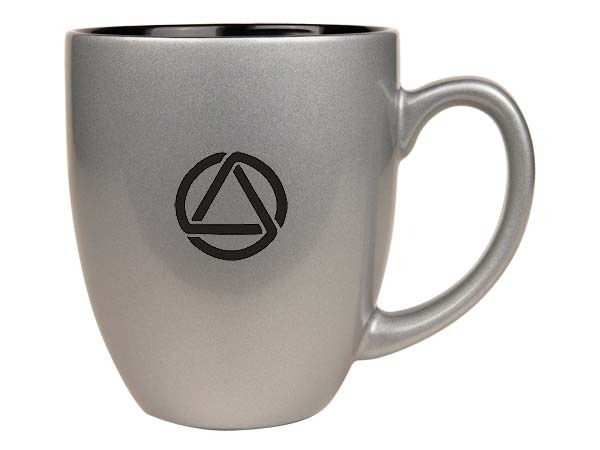 can be lasered on these coffee cups! Please don't hesitate to contact us with your requests! These 16 oz. 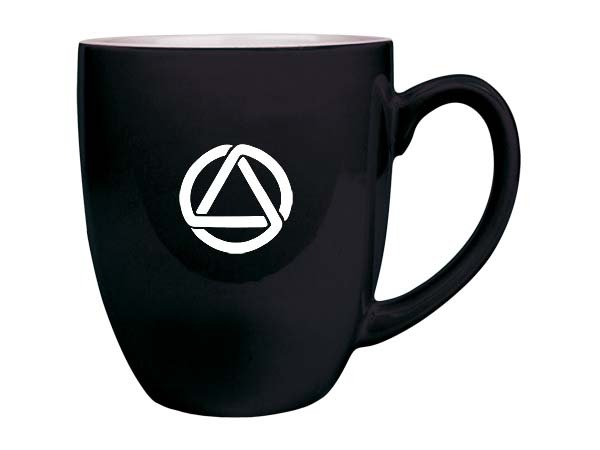 coffee mugs are perfect for the home, office, AA coffee shop, or sober clubhouse! 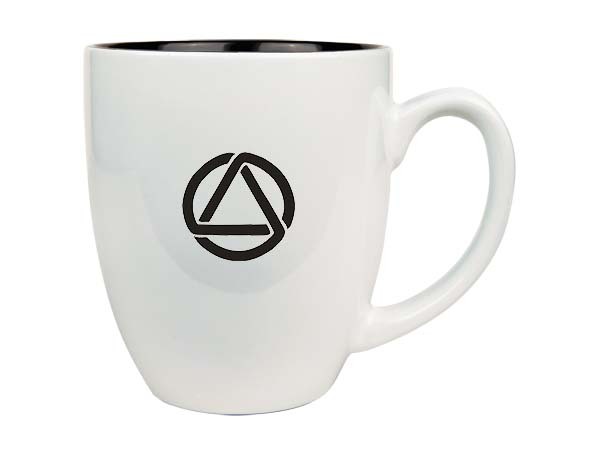 Each gets expertly laser engraved with a unique AA Circle & Triangle symbol on the front side. 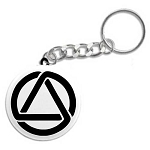 You may optionally engrave a name or special message on the opposite side (only $5.00 more), too! * Not Dishwasher Safe - Hand Wash Only. Available is Six Stylish Colors!